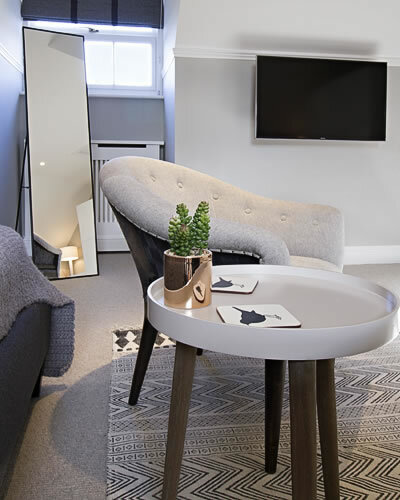 Complete Interior Design, Procurement and Project Management for a Guest Bedroom in Cobham, Surrey. 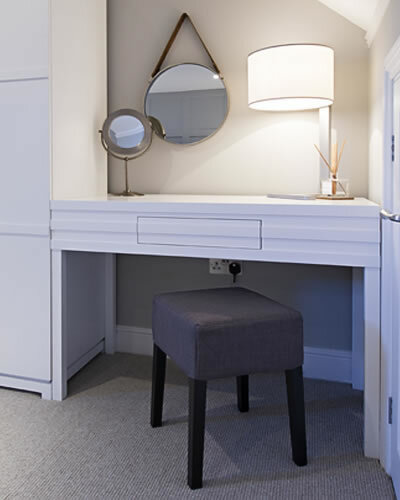 The brief was to create a contemporary, serene guest bedroom, a peaceful home away from home for visiting guests. 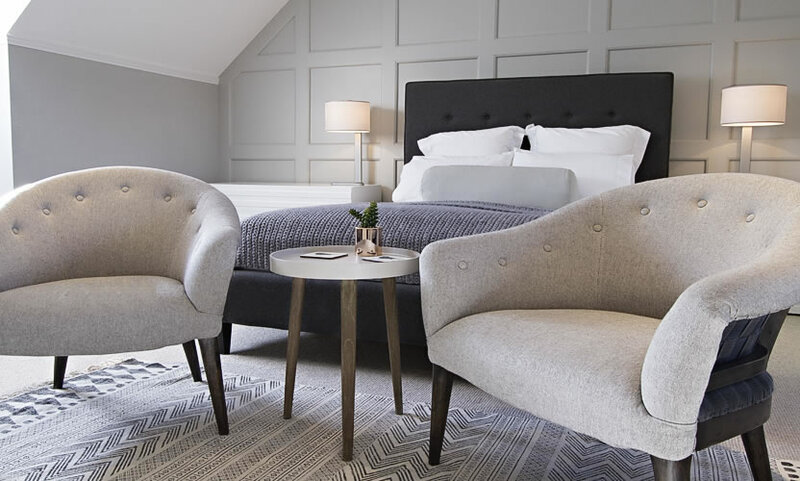 Using a neutral colour scheme of greys, charcoals and taupe and a mix of linens & wools to produce a tranquil sleeping space. 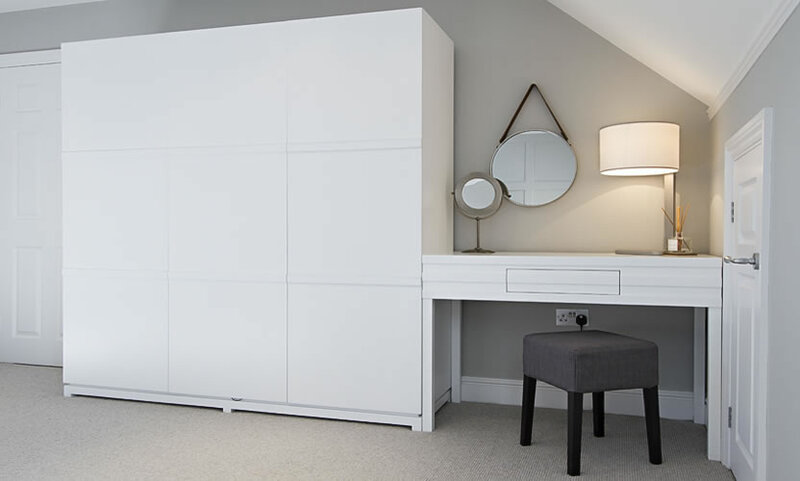 A gorgeous, but practical, pair of button detailed tub chairs as well as bespoke designed white wardrobes, dressing table & bed side tables all set against an understated panelled feature wall. Creating a relaxed contemporary guest bedroom with everything you guests would need to ensure a comfortable stay.